Hiring at All 3 Locations – Find us on Indeed! Red Wing’s Mobile Shoe Store! 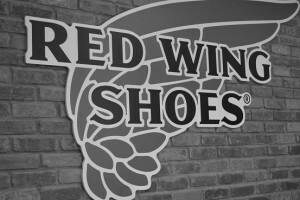 Red Wing Shoes of Richmond – Over 300 years of combined shoe-fitting experience! On the docks, in the yard, at the shop, or on the job site, you need a pair of quality work boots that’ll keep your feet safe, warm and dry. From steel toed boots to safety toe, king toe and everything in between, Red Wing Shoes Richmond delivers the finest in quality, craftsmanship and longevity. With three generations of shoe experience right here in Richmond, the Gardner family and Red Wing Shoes are synonymous with quality, longevity and service. From our 30 day money back guarantee to our free oil and lace services, you’ll receive nothing but the best product and best service from Red Wing Richmond. Red Wing Richmond products are proven to perform and outlast. Behind each pair of shoes exists over a century of experience. So whether you need work boots, custom orthotics or accessories, just remember Red Wing Shoes. Welcome to the family!